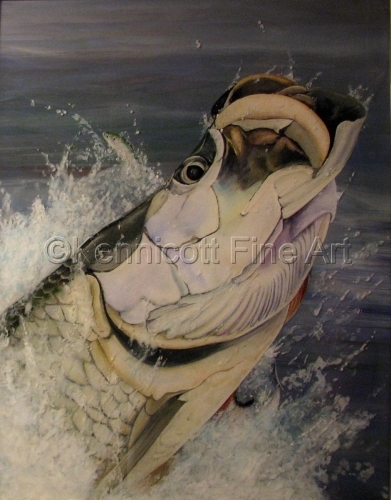 This feeding Tarpon is an acrylic painted on cradled art board. The painting process is quite unique as it is painted on layered resin to make the water 3 dimensional. 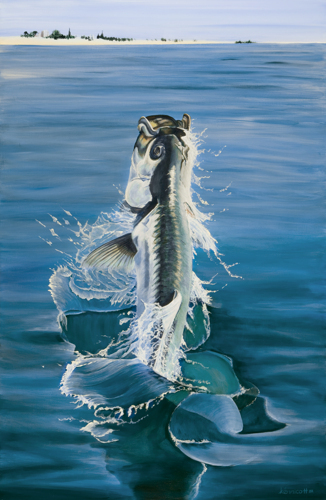 The energy of the tarpon jumping from the water is a sight to behold.